This course will examine the pedagogy of how students learn math in the elementary school setting under the recent Common Core guideline changes. By exploring effective teaching strategies and supportive practices in the classroom, the new or veteran teacher will benefit and improve methods. With new Common Core standards and a revolution in mathematical strategies, many educators find themselves in the middle of a generational shift in elementary delivery in the classroom. Expansion of mathematical pedagogy will be crucial to the next generation and through expansion of a broader mathematical process in the classroom. 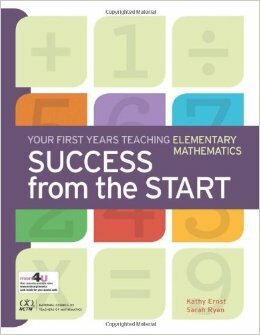 While geared towards elementary level math, educators of any age can benefit from the methodology of the presented concepts and apply it in their own area of mathematical expertise. Educators will have a working knowledge of the inherent differences in learning approaches between various mathematical methods in the classroom. Educators will analyze the underlining mathematical structures and properties and how they are best approached in the classroom. Educators will be able to demonstrate differentiation to meet a diverse student population and their needs. English Language Learners and Special Education needs will be addressed for best scaffolding practices. Teachers will write chapter reviews, research the topic and develop an application paper or lesson project activities that utilize the course content as it applies to classroom instruction and learning environments.